We have a special guest for our 34th episode as well, which is our amazing friend and wizard of all things movies and coolness – James Cole Clay from Fresh Fiction. In our thirty-fourth episode, our topics include discussions on Texas Frightmare 2019, Mondo’s vinyl release of ‘They Live’, SXSW 2019 horror announcements, upcoming Scream Factory Blu-ray releases, and more. Our Bloody Question this week was: “What’s the most insane twist ending in a horror movie?” . We also give you “Bloody Recommendations” of three horror films, being ‘The Comeback‘, ‘2018 ‘Halloween’ deleted scenes, and ‘Hard Bodies‘. Our big topic is, of course, is the M. Night Shyamalan trilogy, ‘UNBREAKABLE’, ‘SPLIT’, and ‘GLASS’, where we discuss the film (without spoilers), its production history, the actors, and more. It was so much fun. This episode is guaranteed to thrill you, chill you, and fulfill you. And don’t forget to visit iTunes and Stitcher to subscribe to our podcast. Enjoy the show and see you next week! Also, email us with any ideas, questions, or fun to mybloodypodcast@gmail.com. Thank you for listening. This entry was posted on Thursday, January 17th, 2019 at 5:52 pm	and is filed under Film, News, Podcast. You can follow any responses to this entry through the RSS 2.0 feed. You can skip to the end and leave a response. Pinging is currently not allowed. 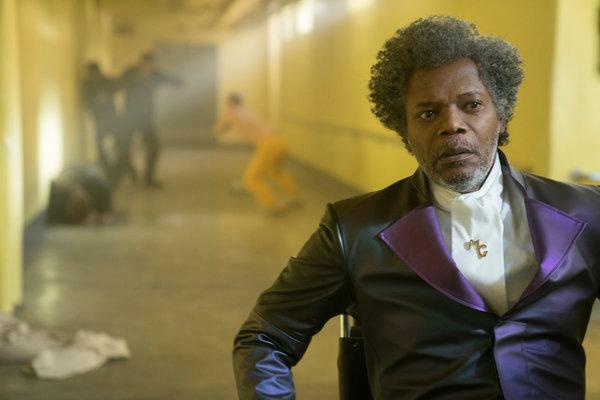 « ‘Glass’ – Film Review!